Today, at the EU’s Social Summit for Fair Jobs and Growth in Gothenburg, the European Commission, European Parliament and European Council jointly proclaimed the European Pillar of Social Rights. 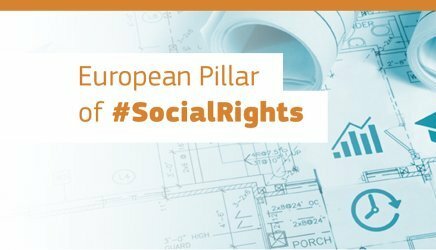 The Social Pillar has been published on 26 April 2017 by the European Commission as a summary of existing EU social legislation. Its aim is to serve as a guide towards a more social Europe and ‘upward convergence’ of social policies in the EU Member States. The Pillar includes 20 principles under three chapters: Equal opportunities and access to the labour market; Fair working conditions; social protection and inclusion. For Roma as the most marginalised ethnic minority in the EU, with 80% at risk of poverty, only 30% in paid work and only half attending pre-school education, the European Pillar of Social Rights could mean an important step forward – if EU Member States take their commitment for a more social Europe seriously. ERGO Network strongly urges European leaders to make of the Social Pillar more than just a proclamation and prevent it from becoming an empty shell. After the important step today, it is now time to let actions follow words. The principles touch on issues such as protection against forced eviction, access to essential services, inclusive education and the right for children to protection from poverty – all issues that, if tackled properly, can mean a real advancement for the social inclusion of Roma in the EU. Now is the time to put dedicated budgets in place to make a social Europe a reality – a Europe that pays particular attention to its most disadvantaged citizens and does everything it can to reduce inequalities.